Looking for the best credit card with no international fees and the smartest way to exchange currency? Savvy travelers know the challenges and money-saving strategies for managing their vacation dollars in a foreign country. The best approaches can save you substantial amounts of money. Remember the old days when the first thing you did when arriving at a foreign airport was change money at a foreign exchange desk — either your "greenbacks" (U.S. dollars) or travelers checks for the exotic, colorful local currency? 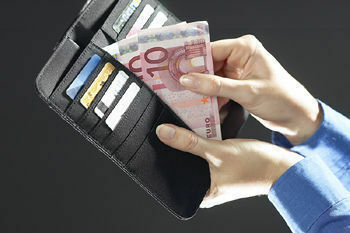 Later in the trip when that stash ran low, you would look for banks with Banque du Change (foreign exchange) services. And do it again and again, paying commissions and accepting exchange rates as you found them. Those days have passed. On a 2012 trip to Europe, I compared exchange rates at the airport exchange windows (whether Travelex or American Express or a local bank) with the rate I obtained by using a bank ATM card. The difference in exchange rate was over 12% higher at the currency exchange windows. That's US$12 loss to you for every US$100 changed into foreign currency. Every airport and every city now has Automatic Teller Machines (ATMs) machines, which provide you with the lowest cost exchange rates possible. If you do stop at the foreign exchange window of a bank, it should be to exchange only what you will need until you can get to an ATM. Before you leave the U.S., be sure to beef up your balance in the checking account in anticipation of these withdrawals. However, the ATM route does not come free. Depending on your U.S. bank, you will pay a flat ATM fee of $3-$5 plus a foreign exchange fee of 1%-3% of the dollar value of the exchange. In certain situations, the ATM fee is waived, but check with your bank to determine the ground rules. In any case, use the ATM route with your bankcard is the most economical strategy for getting local currency. If there is an ATM service fee with your card, it makes sense to get larger sums of money at each visit, rather than many small withdrawals. Keep excess cash in the safe in your hotel room. DO NOT USE YOUR CREDIT CARDS AT AN ATM TO WITHDRAW FOREIGN CURRENCY. You will pay the ATM fee, plus you'll pay interest (at an often high rate) on the funds from day of withdrawal to day you pay the credit card bill. This is not a good deal. It will cost you substantially more to use your credit card for cash than using your bank ATM card. If your ATM card is also a Visa card, stick with the ATM function, not the charge card function. Also, there are some companies offering pre-paid debit cards, among them Travelex, Visa and American Express. These are very convenient, but you will be paying a higher foreign currency exchange rate than you can get with your basic ATM card, often as much as 10% and higher. The rates are not small — up to 3% of your expenditures charged in a foreign country., including the American Virgin Islands. Individually, these aren’t such a big hit, but when you add up the total credit card charges on a multi-week family trip to Europe, you’ve wasted a decent amount of money. Multiply this fee over a number of foreign trips, and through the years, the sums can be substantial. There are a several credit cards from Capitol One, Bank of America, Chase, Citibank, Discover, HSBC and others that offer cards without foreign transaction fees. To keep up with updates on credit card offers and, specifically, foreign transaction fees, check out the Nerd Wallet website. 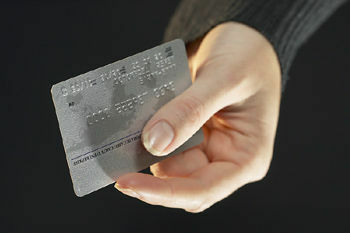 To further complicate the use of credit cards abroad, most European countries, Canada, and many Asian ones have changed their credit card security format from the traditional magnetic strip on the back to a card with an imbedded microchip. In Europe, all cards also require a four-number PIN number to authorize the transaction. 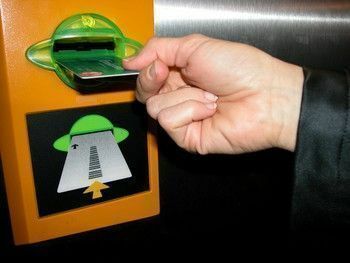 The magnetic strip cards still work for transactions when a human sales person is involved, but they generally do not work in automated machine transactions, such a ticket dispensers in subways and train stations, gas stations without attendants (not uncommon in Europe), vending machines, etc. Read more about which U.S. companies offer Chip-and-PIN cards and their benefits to the traveler. Your strategy on both credit cards usage and ATM cards should be based on how long you’ll be abroad, how much you expect to spend, and whether it’s worth the bother of getting new cards and accounts. You may want to just pay the fees — just be aware of the cost. After researching this story, we switched our credit card to one of the two non-foreign-fee banks. No matter which credit card you use, if you’re planning on being away for an extended period, it would be wise to set up Direct Debit for paying your bills. This is a free, automatic debit procedure through which your credit card balance, minimum payment or any type of bill is drawn down from your bank account on the due date. Otherwise, if you miss that due date — especially with credit card bills — because you’re traveling, you will be liable for increasingly onerous late fees and interest charges. hey this article was really nice. i got many information from ur site. so my great full thanks for posting it………..